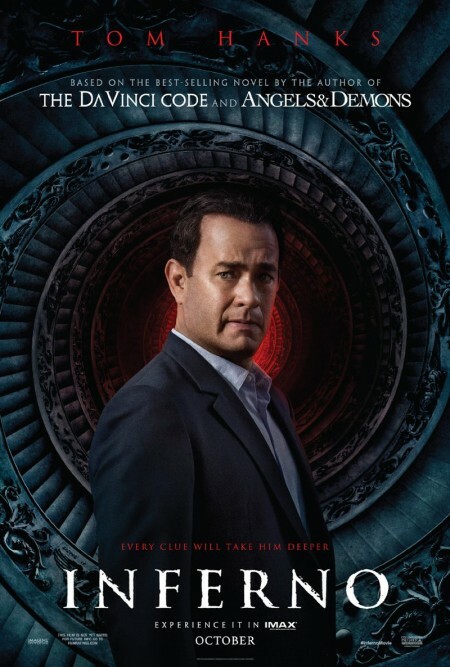 Premise: Robert Langdon (Hanks) is an expert on signs and language, notably Dante’s Inferno, a narrative depicting Hell, which in turn was adopted by artists ever after. He wakes up in Hospital with a gunshot wound to the head, a bad case of amnesia and a countdown to armageddon embedded in a trail of art based clues. The clock is ticking to humanity’s extinction. Cue frantic chases across museums, archways, rooftops and trains as Professor Langdon and his assistant, Sienna (Felicity Jones) try to stop the INFERNO! 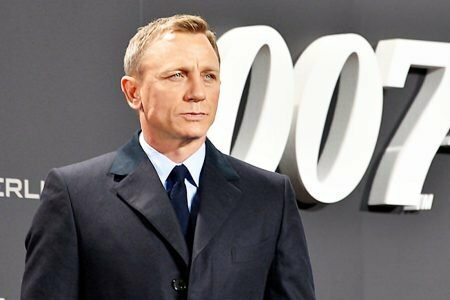 Robert Langdon (Hanks) è un esperto di segni e il linguaggio, in particolare l’Inferno di Dante, una narrazione che descrive l’inferno, che a sua volta è stato adottato dagli artisti per sempre. Si sveglia in ospedale con un colpo di pistola ferita alla testa, un brutto caso di amnesia e un conto alla rovescia per Armageddon incorporato in una scia di indizi a base d’arte. Il tempo passa per l’estinzione dell’umanità. 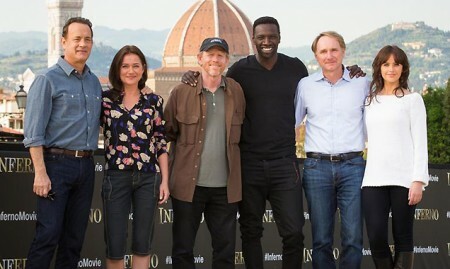 Cue inseguimenti frenetici attraverso musei, archi, tetti e treni il professor Langdon e il suo assistente, Sienna (Felicity Jones) cercano di fermare l’inferno! What is the point of INFERNO, as a movie? If it is to entertain and thrill, it fails. If it is to give a lecture on art and literature via stunning visuals, it semi-succeeds. Does it advance the hero, Robert Langdon? Well, sorta. But WHY? Frankly, that is the most compelling riddle here. Why give us more of the same and yet not as good as DaVinci Code or Angels and Demons, both of which were flawed to begin with? It’s a real shame. Because, had they adapted Dan Brown’s Lost Symbol instead, we’d have been treated to a fast paced conspiracy thriller with something new to offer, whilst timing itself perfectly with upcoming elections in the USA. Instead? We get a semi re-tread of the previous films /books in the series, no massive revelation or surprise and consequently, a thriller that fails to thrill. It could be that INFERNO seemed the best bet, given its similar motifs to the previous films in the series and its being the most recent novel from Brown, which did solid business in the best seller charts. I get that. 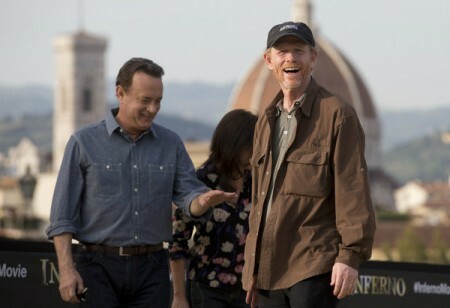 I also ‘get’ why both director Ron Howard and star Tom Hanks felt they needed to do this. Everyone has a franchise, nowadays. Why shouldn’t they follow suit and appear to give the people what they want, whilst ensuring their own commercial viability a few more years, between worthier projects..etc. Fine. That rationale would work if Hanks /Howard had adopted that model in their careers. 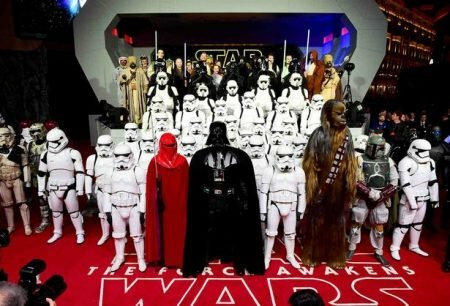 Successful proponents of the ‘one for the fans, one for me’ strategy include: Tom Cruise, Harrison Ford, Steven Spielberg, Denzel Washington. You make a nice, clever, historical, issues based independent movie. Then do a huge franchise picture. Except that Hanks never went there. He’s one of the rare players in Hollywood to fuse the commercial concern to the weightier and loftier heights many actors and directors dream about. Who else could make a film about a gay man with AIDS, taking on the system, number one at the Box Office? Philadelphia, back in ’93/4 was a bona fide hit: all down to Hanks. Who else could make a realistic WW2 film like Saving Private Ryan somehow accessible and warm-hearted? Hanks pulled that off and followed through with television series Band of Brothers and The Pacific (the work the man has done on behalf of veterans is truly remarkable). Indeed, even his so called ‘flops’ have moments of greatness. I think I’m one of the few who loved Larry Crowne. And Ron Howard? Well, the man invented ‘earnest’. There is a decency, warmth and good intention that pervades his film-making. You like the man and his work. Sometimes he overstretched himself: Far and Away, for all its epic visual span, was a misfire, redeemed quickly. Howard has a particular gift for the biopic, a genre failed by many yet mastered by him, to the extent that he could just specialise in that area and do perfectly well. Frost /Nixon, A Beautiful Mind, Apollo 13: all Howard; all worthy; all good! And yet he is not an auteur and functioned perfectly well as a Director for hire, mastering a genuinely compelling thriller with Ransom, domestic dram-edy (Parenthood) and family comedy (The Grinch). Sadly, INFERNO is neither pet project nor competent journeyman effort. It is lacking, for the most part, in the stakes and pace and cohesion required to ‘thrill’. So, in short: neither Hanks nor Howard are suited to this kind of material. They never were. 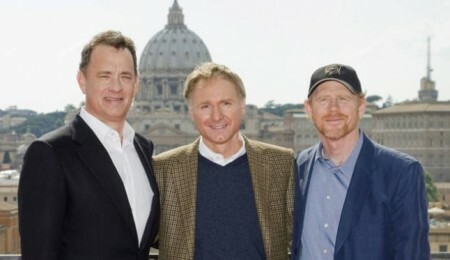 Indeed, DaVinci Code and Angels and Demons, though better than INFERNO, were rather weak for the same reasons. Langdon is just not a textured hero. There is nothing for an actor or director to play with, save a cracking plot / premise. DaVinci Code certainly worked as a globe trotting, historical/legendary pot boiler on the page and for all its many faults, got people talking..about a BOOK..that was not Harry Potter. So frankly, whoever was cast in the lead or helmed the film as director, there was a palpable hit on a studio’s hands back in 2006. Angels and Demons was camp nonsense, propelled along by its atmospherics, visuals and semi-current references to CERN. So, one could be distracted from the simple fact that Howard is unsuited to directing hokum and Hanks is woefully miscast as an action man academic. 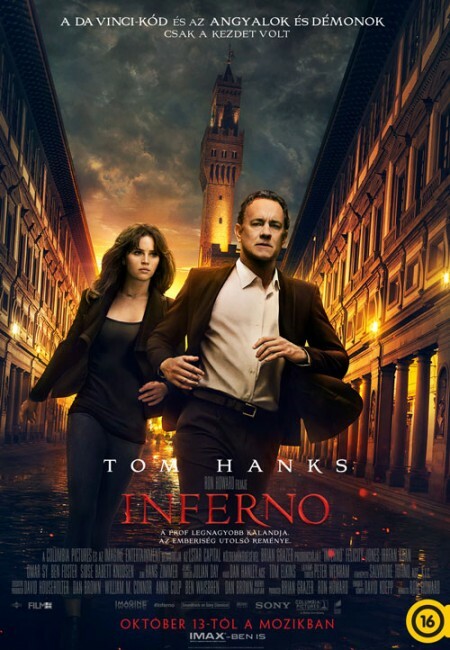 INFERNO is stripped of the novelty from DaVinci Code or the imaginative camp of Angels and Demons. It is, by nature, an incredibly derivative and dull story / plot. The only thing that could possibly save such mediocrity from boring audiences into a seventh circle of suicidal hell would be: inspired direction and involved leading man /supporting cast. All absent. So the film fails and badly. Matters not helped by an AMAZING opening. It’s a GREAT hook: man wakes up in hospital with amnesia. He KNOWS there is SOMETHING he MUST stop / diffuse / counteract. He KNOWS there is a ticking clock. But for the life of him, cannot piece it together without help. Cue a man on the run, with just one beautiful ally to help. This is Hanks at his best, all vulnerability and disorientation but determination. And it’s Howard being experimental in camera moves, lighting and editing. Sadly, once they leave Hospital? The film switches to auto-pilot and frankly, so do we. Hanks’ Langdon spends much time fretting over the fate of his Mickey Mouse watch (one of Brown’s attempts no doubt at somehow making his hero ‘eccentric’ rather than just..dull). Well, I and quite a few others I noticed, were indeed checking watches in this film, frequently. There is a potentially great villain here in Ben Foster, as a TED talk giving Billionaire tech guru with a novel solution to population control. Sadly, he is glimpsed only in flashbacks, thereby numbing the potential for genuine conflict and tension throughout and that is a critical loss to a ‘chase’ movie. A chase is only as good as the hunter. Who is hunting Hanks here? Nobody knows, until the end and by then it’s just too late to care. There is a twist mid way through but that too lacks any kind of depth, pain or dramatic impact. We simply do not know who is chasing whom or why and that invalidates every train fight and last minute dash to a helicopter or underwater escape scene. Biological terrorism and the World Health Organisation are featured as motifs here; but neither seriously enough to induce genuine fear and attention nor with proficient bouts of fun to just enjoy an escapist quest. Tone is muddled and pace is almost non existent in consequence. Had there been some sense that we were indeed facing a demonic equivalent to DaVinci Code and some implied supernatural dimension in time for Halloween, even ambiguously / implicitly? That would have worked, brilliantly, especially given the flashback visions of Hell that characterise the film’s initial narrative punctuation. Or maybe a genuine exploration of some real-world cultists bent on worldwide armageddon in the name of a certain religion (they do exist, you know: you even go to Turkey in this film..we are not stupid..go figure..). But no. Just lots of over-earnest, woodenly delivered lectures from a girl called Sienna, played on auto-pilot by Felicity Jones. The character is neither love interest nor daughter substitute, but some awkward marriage of both, whilst existing as neither. That once again stems from the fact that Langdon is a blank character: no flaws, no foibles, no discernible distinction or worldly desires that define every great pulp hero. That said, Audrey Tatou momentarily brought him to life in DaVinci Code. For whatever reason, Ms Jones fails to ignite any counterpart gleam in his eye, or in that of the viewer. I love Felicity. Really, I do. But one cannot play a girl called Sienna without invoking the memory of a lovely film star by the same name. Jones’ role is floored by unworthy material that simply begs for dry recitation, without any true emotional investment. Same with Hanks, Howard and anyone involved in this waste of talent, time and Cinema space. Everyone is off their game here for the most part. Even dear old Hans Zimmer seems to lack a little fizz in his score, pitching it somewhere between Tubular Bells and Vangelis, forgetting his own ability to evoke the kind of choral atmospherics and swash buckle / spiritualism he has delivered to so many more superior products. If a film can be judged by its score..moments of genius..a majority of mediocrity. This is one that can be missed. A major disappointment. If you DO watch it, you WILL enjoy the opening scenes as they are film-making at its very best. But the source material frankly failed to inspire similar quality for the movie’s majority. Hanks as Langdon is only as good as the quest he faces and the villains he must vanquish. 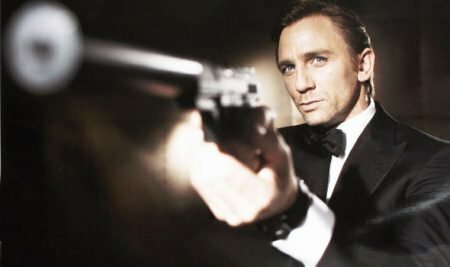 As a hero in himself, he is spectacularly dull and consequently, a film anchored round his journey will follow suit, even with a team of this calibre charged with its execution. Bizarrely, I DO suggest making another one. The one they SHOULD have made and several years earlier. 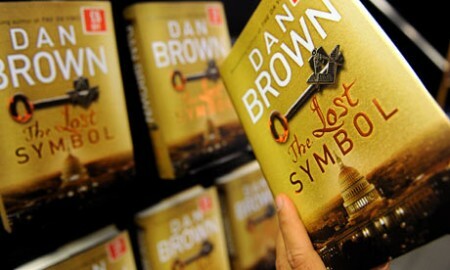 It’s called The Lost Symbol. You can enjoy that book at face value as disposable but fun hokey pulp. Sadly the same cannot be said for the movie, INFERNO.